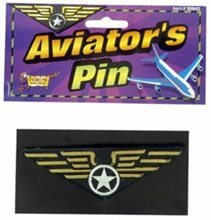 Aviator Pin.Includes: One Aviator Pin. Available Size: One Size Fits Most Adults, Teens and Children. *Costume and Accessories Not Included. Sold Separately. Pin on your pilot wings and take flight! Our Aviator Pin is the essential accessory for the finishing touch you need to finish the details of your uniform Pilot costume. Our aviator pin is made of plastic and features the traditional gold wing design with a circled silver star in the center. 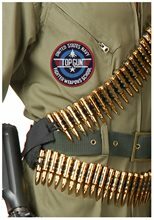 Add character to your pilot costume with our fun Aviator's Pin. Whether you are looking to get your wings or your Mile High Club membership, this black plastic aviator pin is a fun way to complete your pilot or flight attendant costume. Gold Aviator Pin.Includes: One Gold Aviator Pin. *Costume and Accessories Not Included. Sold Separately. Complete your pilot costume with this awesome Gold Aviator Pin! 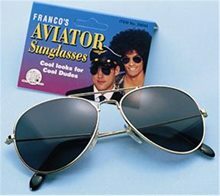 Aviator Glasses.Includes: One pair of mirror lense aviator sunglasses.Size: Fits adults and kids 12 and up.Material: Metal frames and hinges.Features: UV 400 protection.The classic aviator style that will add the finishing touch to your police costume or cheesy retro tourist outfit. With high quality metal frames and a sweet sweat bar, you’ll be the baddest lookin’ mamma jamma on the streets. Steampunk Aviator Goggles.Includes: One Pair of Steampunk Aviator Goggles. Available Size: One Size Fits Most Adults and Teens. *Costume and Accessories Not Included. Sold Separately. 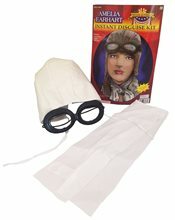 Join a gang of motorcycle bandits or become a sky pirate on an airship with our Steampunk Aviator Goggles. This replica of WWII RAF Fighter Pilot Goggles features a chrome frame, soft black interior padding, clear lens and an adjustable head strap. The Steampunk Aviator Goggles will protect your eyes from the weather elements such as the sun and dust storms when you are away from civilization. 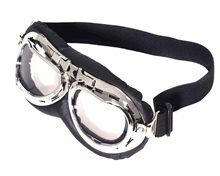 Use our Steampunk Goggles for your airship pilot, motorcycle bandit or WWII aviator costume for a slick look that will be all your own. 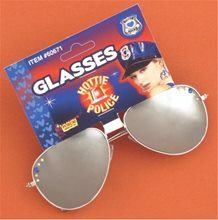 Hottie Police Sunglasses.Includes: One Pair of Hottie Police Sunglasses.Available Size: One Size Fits Most Adults. 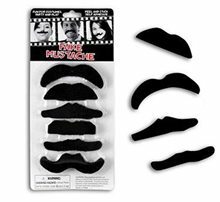 *Costume and Accessories Sold Separately.One of the perfect accessories to complete your Hottie Police Costume. Features a pair of metal framed Hottie Police Glasses with gem stones. Elvis Rock N Roll Glasses can go perfectly with the Elvis Costume. 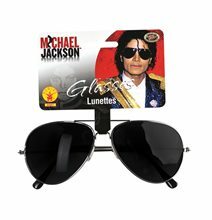 Michael Jackson Glasses;This listing is only for the Officially Licensed Michael Jackson Sunglasses. This is the hottest item of the year and is a must have for any fan, great for dress up, Halloween or just a collectors item. One size fits most.